Her name was actually Maxi'diwiac of the Hidatsa people, but we (as in the English Speaking, non Hidatsa people usually refer to her as Buffalo Bird Woman. I couldn’t help but remember literary Granny Sojourner Truth’s words which continue to inspire people today. Buffalo Bird Woman was also a woman who took pride in her heritage to the point of refusing to go with the flow as others were: she intended, instead, to keep the traditions – and her language – alive. She was a story teller extraordinaire and for her stories to continue as they have today, they were written, and translated, and shared with many. There is one other thing I will tell before we forsake the subject of squashes. Little girls of ten or eleven years of age used to make dolls of squashes. When the squashes were brought in from the field, the little girls would go to the pile and pick out squashes that were proper for dolls. I have done so, myself. We used to pick out the long ones that were parti-colored; squashes whose tops were white or yellow and the bottoms of some other color. We put no decorations on these squashes that we had for dolls. Each little girl carried her squash about in her arms and sang for it as for a babe. Often she carried it on her back, in her calf skin robe. Her words are an important part of American Literary History we simply must keep alive. Honoring her words and her person is integral to this mission of spreading love, knowledge and curiosity about our Literary Grannies. 2013 Literary Grannies - (Aunties, Sisters, etc) with Aphra Behn as our kick off Granny! I am in the middle of a life long love affair with words. I wrote before I was literate by “dictating” to my mother, who would write my words on paper and I would then very carefully copy the letters with my crayons onto construction paper. Some might say I was a preschool visionary or others might have said I was stubborn to the highest level. Perhaps I am a combination of both even today. 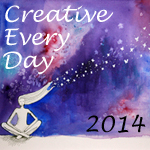 My first attempt with the A to Z blog challenge was 2011. I jumped in last minute with no plan at all and as often happens, with no plan in place, everything falls apart. I loved the concept and decided I would try it again, fail or no fail. 2012 came with a plan: because I love women’s history and I love 19th century literature, I decided to marry the two together and came up with Women in Literary History. I didn’t solely cover the 19th century, but those women were featured regularly because they are so often pushed aside in favor of the massive quantity of men who wrote and published more frequently. Our literary canon is very heavily weighted toward men. So because I enjoyed the heck out of the 2012 series as well as engaged people in some great discussion about these authors, I wanted to take it for another ride now in 2013 with a new, catchier name "Literary Grannies from A to Z". 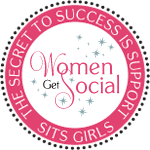 Do you have a mother, sister, daughter, cousin, neighbor, close friend who is a woman? Perhaps in honor of them, read the very short biographies I will be sharing along with images and fun facts about these women. You may discover someone very cool that until now you didn’t even know existed. Why do I choose to use first names as my A to Z? They are the names given to the woman, usually – sometimes the woman has adopted the name or it is the name she is known best as and I wanted to feature her with both names, like Naturalist Buffalo Bird Woman who is also named and known as Maxi'diwiac by her Hidatsa people. I am also featuring a Japanese Poet Ono No Komachi from the 11th Century and I was never able to determine which was her given name and which was her family name. I apologize in advance if I mixed up her name. I am thrilled to have found her in my poetry reading and so happy to share her legacy here. 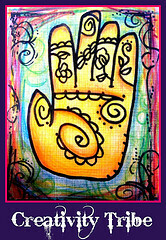 Family names are usually not something thought about, we are just passed the name from one of our ancestors. I love my family name, Jordan, and continue to use it after marriage as well, partnered with the name my children bear, “Scott”. I wouldn’t want to be like Cher or Madonna or even French Writer/Performer Colette who was featured in last year’s series: Julie isn’t a name that stands on its own very well. I love my other names, but I am most frequently referred to as “Julie,” except, possibly, “Mommy” which is a name I claim with a special pride. Please write a brief comment, if you are comfortable, after my entries so that I know you were here. Your presence is appreciated more than you may know. 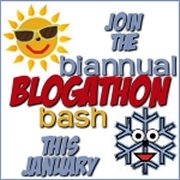 You still have time to register for the A to Z Blogging Challenge. Check it out here - and join the fun. You don't have to prepare but you even still have time for that as well. Literary Grannies from A to Z.
I will have a subtitle declaring it isn’t just Grannies, we are also talking about literary aunties, tias, sisters, Godmothers and yes, Mothers – but I will be focusing on women writers in literary history. Literary Grannies just makes a beautiful image in my head. I have 25 of the 26 chosen: I am still looking for a Literary Grandma whose first name starts with Q! I am starting my actual writing tomorrow – I am going to be traveling for eight days in April so getting a lot of pre-writing done will be exceptionally helpful. 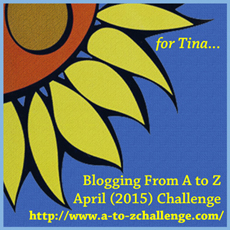 Are you doing April's A to Z Blogging Challenge? It is a blast and believe me, you will stretch as a result. I can’t WAIT to see your themes! THANK YOU for visiting! I became intrigued with Elinor Wylie for two reasons: I was drawn in by the portrait I found (and am using in my E is for Elinor art) and the reality that she became shunned by others due to her consistent seeking after romance, even when it wasn’t always the wisest choice. She was so atypical of the time, I wanted to know more. She was from a prominent but psychologically unstable family. This quote of hers says more about what she received from her lineage: "I am better able to imagine hell than heaven; it is my inheritance, I suppose." I am naturally attracted to those who are pushed out of any circle of friends or associates. Perhaps it is because I perpetually think I am the verge of being shoved from my nest-of-loved-ones or maybe it just sends a bell ringing in my intellectual curiosity. “Find out more!” my spirit urges. In this case, I am so thankful I did! She was a popular poet of her day, known for her beauty as much as her work. She was generous and passionate and wrote novels as well as poetry. She was also a mother: when her eldest son was three, she left him in the care of his father, her first husband Philip Hichborn. She tried later to have more children. She lost one child who lived for six days due to prematurity and another to stillbirth. There were miscarriages. In 1916, after these losses, she began her life in literary circles in New York. She was a friend and contemporary of Edna St. Vincent Millay, who won an award but refused to accept it because Elinor was not allowed to be in the group due to her personal affairs. I am not saying personal affairs are good here, it is reality of a double standard that survives even now. She died, beloved. She turned to dust and became abhorred and judged. My prayer is she rises again in her words and our hearts.